Kluyveromyces lactis strains are able to assimilate lactose. They have been used industrially to eliminate this sugar from cheese whey and in other industrial products. In this study, we investigated specific features and the kinetic parameters of the lactose transport system in K. lactis JA6. In lactose grown cells, lactose was transported by a system transport with a half-saturation constant (K s) of 1.49 ± 0.38 mM and a maximum velocity (V max) of 0.96 ± 0.12 mmol. (g dry weight)−1 h−1 for lactose. The transport system was constitutive and energy-dependent. Results obtained by different approaches showed that the lactose transport system was regulated by glucose at the transcriptional level and by glucose and other sugars at a post-translational level. In K. lactis JA6, galactose metabolization was under glucose control. 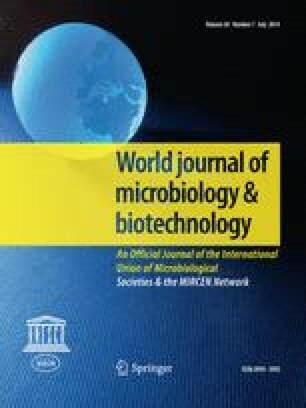 These findings indicated that the regulation of lactose-galactose regulon in K. lactis was similar to the regulation of galactose regulon in Saccharomyces cerevisiae. This work was supported by grants from the Fundação de Amparo à Pesquisa do Estado de Minas Gerais and from the Conselho Nacional de Desenvolvimento Científico e Tecnológico to Castro, I.M. This manuscript was revised by Write Science Right.